The centre will have several 'pods' for single and multi-user experiences. IMAX is teaming up with Odeon to launch a pilot "VR centre" in the UK. The new facility, based at the Printworks multiplex in Manchester, will house modular "pods" that can be adapted for different experiences. So whatever you want to do -- a solo film viewing, or a group session in a game like Star Trek Bridge Crew -- the centre should be able to facilitate it. 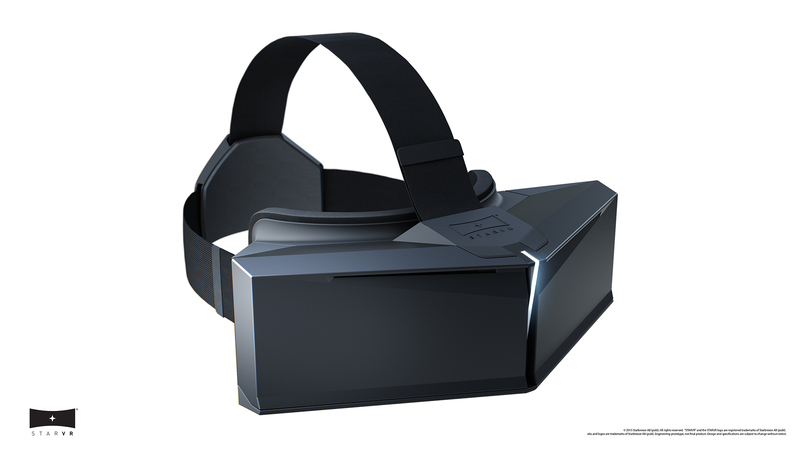 For the hardware, IMAX is teaming up with Acer and Starbreeze AB, which make the StarVR headset. The content portion is a mystery, although IMAX has hinted it's working with "Hollywood studios" and game publishers. Virtual reality is in high demand right now. The HTC Vive and Oculus Rift are now widely available, and Sony's PlayStation VR is launching this week. Google has unwrapped its own Daydream View headset and Oculus has revealed plans for a new, self-contained unit of its own. That's led to some interest from the entertainment industry -- theme parks, for instance, are now using VR headsets to modify and enhance their existing rollercoasters. In the UK, mentalist and illusionist Derren Brown has even created a new type of ride, mixing VR and live action, inside Thorpe Park. High-end VR is expensive, for now. IMAX's centres could, therefore, appeal to people who only have a mild or passing interest in VR. A sensible strategy -- not everyone has the funds, or space, to invest in a gaming PC and Rift-level headset right now. IMAX also seems to be skewing toward original, exclusive content. That could appeal to both new and longtime VR enthusiasts who have grown tired of the games available elsewhere. IMAX says each experience will last between 5 and 15 minutes -- not too long, then -- and will eventually include films shot with its JUMP camera. The new VR centre will open "by the end of 2016." IMAX is also "in the process" of launching a facility in Los Angeles, and hopes to open additional locations in China, Japan, the US, the Middle East and Western Europe "in the coming months." These will be pilots too, so that the company can figure out which experiences and pricing models work best. With this information in hand, IMAX then hopes to push the concept globally, spanning multiplexes, shopping malls and tourist destinations.